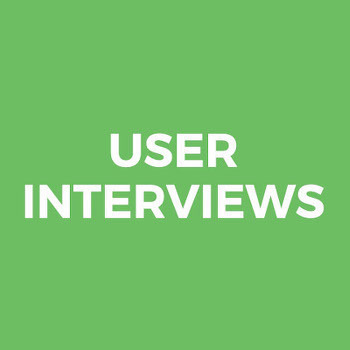 User Interviews helps teams make better business and product decisions by making user research easier, faster, and more joyful. Researchers want to spend more time actually doing research, and we help them do that with recruiting and participant management tools for teams of any size or budget. Customer Thermometer is the only 1-click customer satisfaction and employee retention survey that can be answered from their inbox, giving you industry-leading response rates. It is an easy and unique way to gather the thoughts of your customers and staff. Write, create and send beautiful, branded emails in seconds. Your customers and employees can click directly from their email inbox. You track their responses in real time. Unlimited features, super simple sharing, and beautiful reporting, all wrapped into the easiest-to-use survey creator available. And all for free. Survio is a global online survey platform that helps millions of users around the globe to research, collect & analyse valuable data effectively. This do-it-yourself software combines an intuitive, user-friendly tool with modern design and plenty of clever features which makes building of surveys, analysing of collected data and sharing the results easier than ever. Survio’s professional-looking surveys always provide a perfectly suitable solution whether you apply them to Human Resources, Market Research and Customer Satisfaction or use them for organizing events and education. Our 100+ ready-made templates will help you start and our 24/7 support will answer any of your possible questions. Voxco offers one of the broadest and most flexible survey software platforms in the industry. Maximum survey efficiency featuring one centralized database across multiple survey channels. Collect and process respondent data any time and any place: flexible software to create device-responsive online surveys, over-the-phone interviews (CATI, IVR and dialers), or face-to-face interviewing (CAPI). Clients appreciate our engaging, interactive survey results dashboards, robust panel management capability, and our personalized customer service. A global industry leader in survey software for over 25 years. Clients in over 30 countries. Sales and support offices in Canada, USA, France, UK, Germany and Australia. Avius Surveys provide real-time surveys to improve customer satisfaction and employee engagement. - Custom design - Multi-lingual - Instant Alerts - Work offline - Real-time reports On-site survey kiosks enable customers to leave feedback in-the-moment. Instant alerts notify you of negative feedback within 30 seconds, meaning you can resolve issues quickly. Online surveys promoted on receipts, websites, social or sent by email allow customers to provide feedback when it's convenient to them. The experienced Avius team will work with you to create user-friendly surveys, which will provide you with useful insights to help you make data driven decisions. CustomerCount is a cloud based survey solution that provide real-time reporting, fast turnaround on requested updates, and detailed and dynamic data gathering capabilities to support process improvement efforts, build customer loyalty and improve your bottom line. Customer.guru is a set-and-forget service that automatically measures customer satisfaction over time using Net Promoter System, it integrates seamlessly with Shopify, Slack, Google Adwords, and Facebook Ads. Easy to use online survey tool. eSurveysPro.com offers a powerful, yet simple survey editor, making it easy to create professional looking online surveys in a few minutes. The existing survey templates library also comes in handy, providing ready to use questionnaires like customer satisfaction surveys, HR surveys, etc. Using just your browser you can easily create the most complex surveys. eSurveysPro.com will help you design your surveys with our easy to use survey editor. We offer you 19 question types and the possibility to control the flow of your surveys. Collect responses by sending email invitations or by placing a link to your survey on any website. We offer a powerful mailing system that will help you send and track email invitations to your surveys. Alternatively, you can just place a link anywhere on the web to your survey. View your results as they are collected in real-time, using our powerful, great looking survey reports. Use our reports to summarize and analyze your responses. Dig down to a specific answer. Export your data if you want to process it offline using tools like Excel or SPSS. EventSurvey360 is powerful online survey software for simple & complex online surveys. It has all features, which you need to get genuine feedback. Feedback Lite is a fully customizable survey tool for website owners. With Feedback Lite you can add a simple to use feedback tab to your website and begin to survey your website visitors using an array of flexible feedback forms designed to help you and your business learn more about what your customers’ are really thinking. Feedback Lite is an incredibly easy to use customer feedback solution for businesses that are looking to gather survey responses from a web-based audience using a quality service at an affordable price. Whether your a small startup or a large enterprise, Feedback Lite can be used to engage with your customers and help streamline your business operations through simple reporting and analysis of your feedback campaigns. Key Surveys professional survey software provides the power and flexibility to centralize data and feedback collection across the entire enterprise. Users enjoy a seamless, controlled environment that ensures data is accurate, integrated, and actionable. Using Opinio you can quickly and easily design anything from simple polls to the most complex web surveys and have them published and ready for your survey audience in a matter of minutes. ProProfs Poll Software offers instructors, educators and organizations advanced options for creating effective online polls in a matter of minutes. ServiceNow Surveys drive up customer satisfaction (CSAT) by giving you an intuitive and powerful interface to measure customer experience and expectations. SurveyGold gives a survey author the ability to conduct surveys with ease and confidence. Designed with the occasional surveyor in mind, SurveyGold is a universal survey solution which means that a survey can be created once and deployed in a variety of ways making it possible to conduct the same survey everywhere: Online, offline, paper, table, iPad, PC, kiosk. The centerpiece of the solution is the SurveyGold application which provides the ability to create surveys, collect responses and product reports and analysis. In addition, SurveyGold online services provide additional capabilities including the ability to distribute and process web surveys, conduct email surveys, share survey responses with colleagues in real-time and manage a network of field surveyors who conduct surveys using the free SurveyGold Field Surveyor Edition application available for a tablet PC and iPad. The web survey form can be distributed via a web link (URL), scannable QR code, email invitation, text message or social network such as Facebook, LinkedIn or Twitter. SurveyGold is available in four subscription levels, all of which provide the ability to conduct unlimited surveys: - Free: Basic (for an individual user who needs essential survey and reporting capabilities) - Paid: Standard (for an individual user who needs more than Basic offers), Premium (for an individual who needs unlimited features and field survey features) , Ultimate (for teams) Paid subscriptions are available for purchase via a monthly or annual subscription. When a paid subscription expires, the subscription returns to the Basic level. SurveyGold guides the survey author through the process of creating and deploying a survey as well as collecting and analyzing the responses through step-by-step guidance and mercifully brief video tutorials. The ability to view results total or via a filtered subset of responses is fully supported. A complete range of reporting options is provided including: cross-tabs, banner tabulations, tabular and graphic charts. In addition the ability to publish results via Microsoft Word or convert responses to other data formats (e.g., Excel, SPSS) is fully supported. SurveyGold is free to try and is available with no risk or obligation from the SurveyGold Solutions website. urveyShare provides comprehensive tools to create surveys, distribute them, & analyze the results. Timba Surveys lets you create, share, and analyze surveys within Salesforce. Timba Surveys is a native Force.com application. Apache STeVe is Apache's Python based voting system that the Foundation uses to handle things like voting . AYTM is a market research automation platform and the secret weapon that drives agile innovation for some of the largest consumer brands and agencies in the world. Researchers are empowered to conduct sophisticated research with a click of a button from a powerful but easy to use interface - cutting down the time to insights from days or weeks to hours. This researcher powered, iterative approach to actionable insights collection improves competitiveness, speed to market and revenue. Run a full range of quantitative research, collaborate on survey design in real-time and launch complex sophisticated research tests including max-diff, choice-based conjoint, automated TURF, pricing optimization and more in minutes. Gain access to over 40 million consumers via our integrated panel, which provides best-in-class levels of trust and quality, and real-time pricing with guaranteed delivery times. Tap into our flexible service options that unlock access to our team of research automation experts, when you need them (and not when you don’t). Customerly is a new and easy way to create true and strong relationships with your customers. Survey Maker supports many advanced features such as: Response grading Provide detailed survey statistics Cross-device compatibility Survey embedded facilities Multilingual surveys Popup surveys SSO for seamless integration White label, and many more. It is easier to create web surveys using ProProfs Survey Maker and give a personal touch to it by adding your company logo, specific themes, colors, and fonts. Beautify the surveys by adding images, videos, and presentations to give a professional outlook to the surveys. Our Survey Maker comes with Advanced reporting tools to help you get a detailed understanding of the survey results. You can create a survey either from scratch by using your design and theme or choose from our library of professional themes. Customize the survey according to your taste and liking. It is effortless to develop a survey using our Survey Maker. All you need to do is select a survey template, add your videos, images, graphics, and white label it before sharing with your users. If you face any difficulty while developing a survey, just turn to our video tutorials or resolve your queries from our Self-service FAQs. You can also get 24/7 chat, email, and phone support from our team. Further, you can easily download the surveys or import them from Excel. Embed the surveys either on your website or blog, email them to your users, or share on social networks. Our Survey Maker supports 90+ different languages to enable you to create surveys for your multilingual audience in no time. The cross-device compatibility feature of the Survey Maker will expand your audience outreach. So, the surveys thus created using ProProfs Survey Maker will work just fine on any device including mobiles and tablets. Security is highly prioritized at ProProfs. The Survey Maker offers robust security settings to restrict easy access to the surveys by unauthorized users. You can keep your online surveys secure and confidential with passwords, privacy controls, and many more. The best part of this Survey Maker is that you can perform all the above functions in the complete absence of any software installation or coding. Our ProProfs Survey Maker is perfect for developing Business, Classroom, and Event Surveys. Why rely on assumptions, guesses and hypotheses? Qeryz eliminates the guesswork so you'll be able to get more leads, make more sales and go home happy. Customer feedback, employee engagement, lead followup - Responster is the survey creation tool with businesses in mind. Beautiful, cross-platform surveys can be easily created in a drag and drop builder, and survey results are automatically uploaded and visually organized in your dashboard, with easy export to Excel or PDF capability. Surveys can be completed in any web browser, and can also run offline in a native iOS or Android app, an agile solution for feedback collection via smartphone or tablet kiosks in the office, on-site in your store(s), or at an event. SightMill provides great value Net Promoter Score survey software that helps you listen to your customers and improve their experience of your products and service. You can manage all of your customer feedback in one place: email surveys, website surveys, and event feedback. Use SightMill's tools to help you improve customer happiness, deliver better service and improve your products. SightMill makes it easy for you to manage customer feedback surveys by email, on your website or at events and act immediately on feedback with smart tools that route comments to the right team in real-time. SightMill is ready for any size company and backed with the Net Promoter Score (NPS) methodology. Start a free trial to see how this great value platform can help you gather, analyze and act on feedback. Spark Chart provides survey software with everything needed to run truly professional survey projects. Get ready-made survey templates. Customize the branding. Survey in any language. Automate workflows with conditional logic. Create and share reports instantly. Powerful analytical and reporting features. Learn more at www.sparkchart.com. Software as a Service (SaaS) for: Businesses | Organisations | Teams | Freelancers | Bloggers | Consultants | Enterprises | Agencies - Design & create any type of survey! - Get ready-made survey templates. - Customize & deploy quickly! - Dig deep & analyze with ease! - Create & share beautiful reports. Instantly! - Integrate surveys with 1,000+ applications - Get expert support & advice, 24 hours a day and 7 days a week! We help leaders uncover hidden knowledge and ideas. If you're not getting the feedback you need for success, then Spark Chart is the solution. SurveyCrest is an online tool that enables users to create and design surveys. SurveyExpression is the perfect survey software tool. It offers for free what other survey platform vendors only offer for hundreds of dollars. SurveyExpression will help you design smart and beautiful online surveys in their web interface. We Survey Experts designed this tool to bring all possible survey features under the free account. Clean and easy to use environment provide you a wise experience to collect feedback, Poll, conduct Quiz and for many more features to use. SurveyMe is a presence driven application for dynamically creating and sending out customized surveys to individuals or specific groups within an organization. SurveyPocket is an app for conducting mobile field survey interviews. Wincati is a phone survey system that allows for customized surveys that have been programmed with skip logic. It also allows multiple interviewers to have access to multiple surveys and share a sample pool. 9Lenses is a digital diagnostic platform that allows consultants to thrive in a data-driven market. Businesses expect better data. Survey platforms, spreadsheets and other manual business diagnostics no longer meet today’s digital expectations. To compete in a data-driven environment, consultants must deliver secure propriety digital solutions. 9Lenses is the only diagnostic platform that digitally automates the development, collection, organization, connection, and analytics, of the consulting process. By transforming business diagnostics to the 9Lenses digital platform, consultants deliver more value for clients and win more business. Antlere is an NPS based survey deployment and feedback analysis system designed using AI technology to help users make smarter decisions for their business. Send single question yes/no surveys and get feedback. BrewSurvey is a mobile survey and feedback collection tool for capturing customer feedback, conducting field research and lead capture.